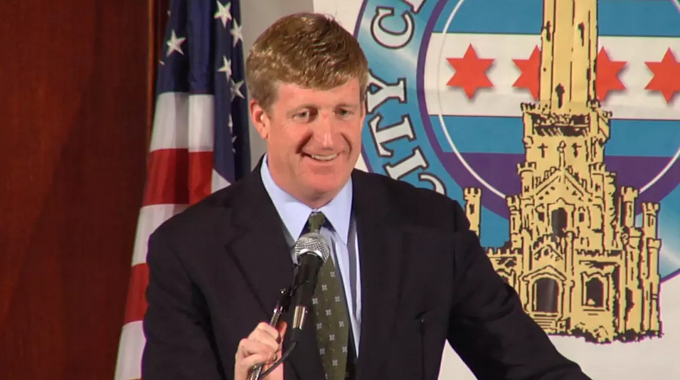 Mr. Patrick Kennedy, who founded The Kennedy Forum in 2013, will speak about addiction and mental illness on April 26 from 6 to 7:15 p.m. in connection with the Institute of Politics at the University of Chicago. It is part of the Institute’s Speaker Series. 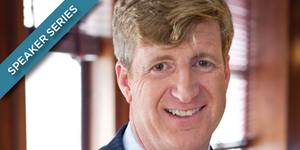 The title of his talk will be “The Politics of Mental Health Care: Patrick Kennedy on the System We Need.” Mr. Kennedy will discuss the broken state of mental health care in America and the issues the electorate should be paying attention to this fall. Mr. Kennedy, son of the late U.S. Sen. Ted Kennedy, represented Rhode Island in the U.S. House of Representatives from 1885 to 2011. He is the author of “A Common Struggle,” which was published in 2015. It details Mr. Kennedy’s long battle with drug and alcohol abuse as well as bipolar disorder. In his book, Mr. Kennedy criticizes the current system that treats addiction and other mental health afflictions as personal failures rather than medical conditions. About 91 percent of Illinois residents believe that mental health conditions are a serious public health problem in the state, according to a survey commissioned by Kennedy Forum Illinois last year. The Institute of Politics is an extracurricular, nonpartisan institute at the University of Chicago designed to inspire students to pursue careers in politics and public service. It was formally established in 2013 with David Axelrod, who was President Barack Obama’s chief campaign advisor, as its director. Admission to the event is free, but reservations are required. For reservations, click here.